You would do this exactly as you print to a regular printer, just the result will be a PDF file, not a printed piece of paper. doPDF has an executable file (accessible from the start program group) that you can run in order to start a conversion wizard. 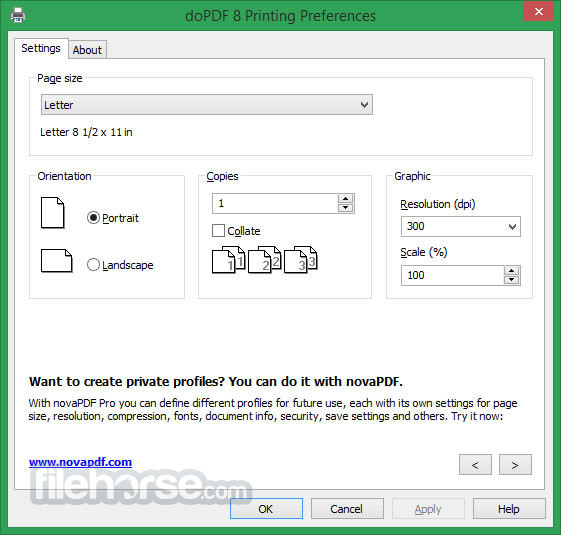 You can create high quality PDF files (i.e. for printing) or smaller files (i.e. for web publishing), depending on your needs. You can also choose to balance the two options by using the medium quality preset. We always recommend using the latest version of doPDF and its integrated automatic update engine will keep your version current. Update checks can be scheduled daily, weekly or monthly, but you can also disable this feature. The content of the resulting PDF can be shrunk to 1% off the original size, or enlarged up to 400%. During installation you can install the novaPDF add-in for Microsoft Office. 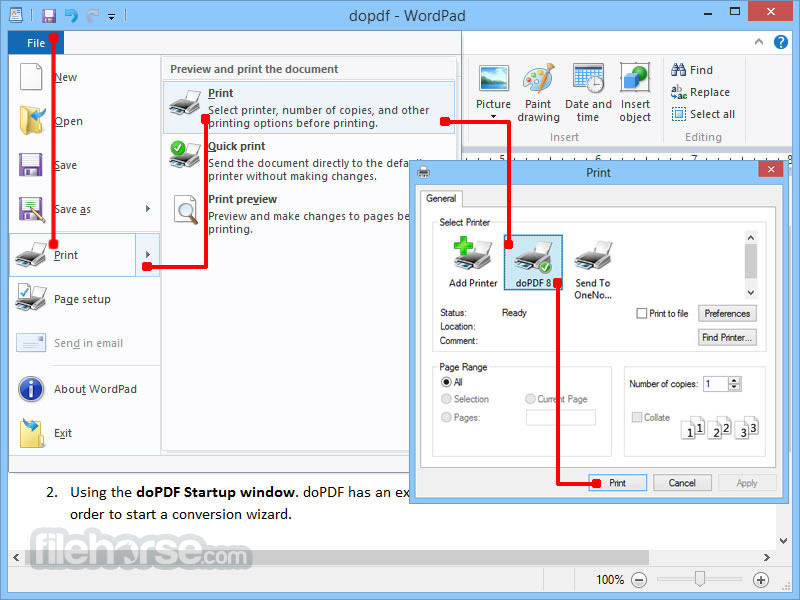 This allows doPDF to offer one-click conversion to PDF from Office applications (Word, Excel, PowerPoint, Publisher, Visio). When you convert PDFs using the add-in for Microsoft Office, you can convert bookmarks and links from the original document in the resulting PDF file. 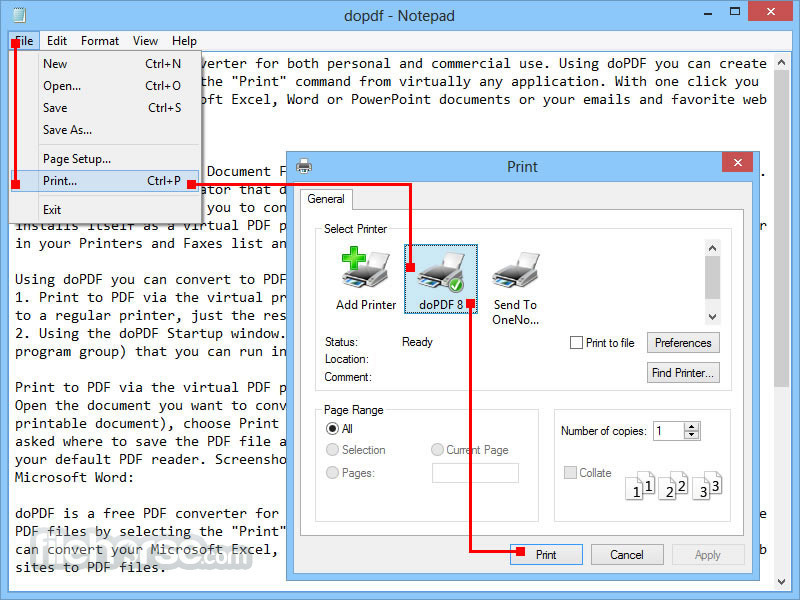 You can have doPDF create and save the PDF file to the same folder each time, no matter where you open the original document from. 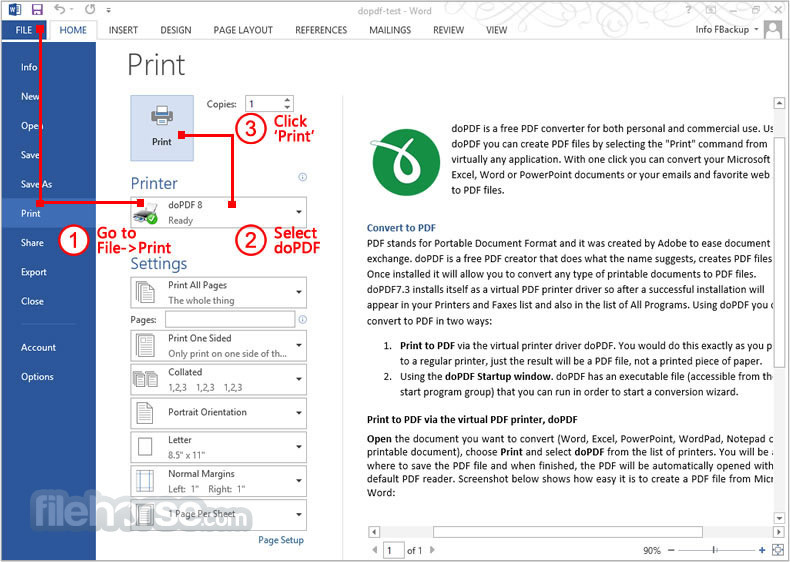 You can choose to have the PDF opened with the default PDF reader once it's converted.